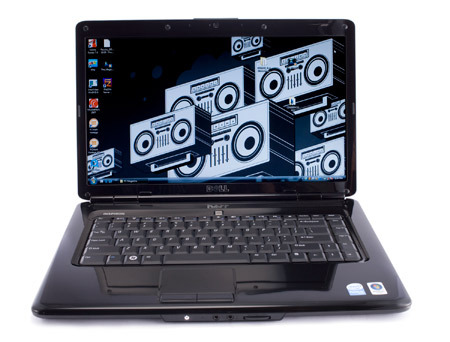 Dell's Inspiron 1564 budget systems offers a solid laptop for those on a tight budget. Incentives and discounts often drive the price below $600. 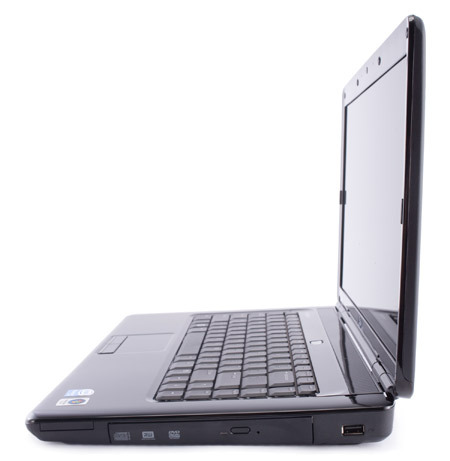 With the Core i3 processor it provide a very quick computing experience. The downside is that users will have to sacrifice some RAM, hard drive space and wireless features for this lower price. For some this may not matter much but be warned that Dell does not offer the same level of customization on this particular model. The recurring theme for mainstream laptops, especially if they're Intel based, is the guts from last year are being replaced with new ones this year. Looking at the Dell Inspiron 1564 ($879 direct, E-value code: DNDOV33) seems like déjà vu all over again, since nothing has really changed on the outside. The Dell Inspiron 1564 is a mainstream laptop designed with speed in mind, thus giving battery life the cold shoulder. Cutting-edge power and great usability from this consumer level laptop. Dell has had an impressive track record over the past year, delivering one stunning consumer laptop after another. Continuing Dell's recent run of success, the Inspiron 1564 is an impressively powerful and portable machine. While its limited network connectivity is disappointing, it excels in all other areas, making it one of the best entry-level laptops we've seen this year. 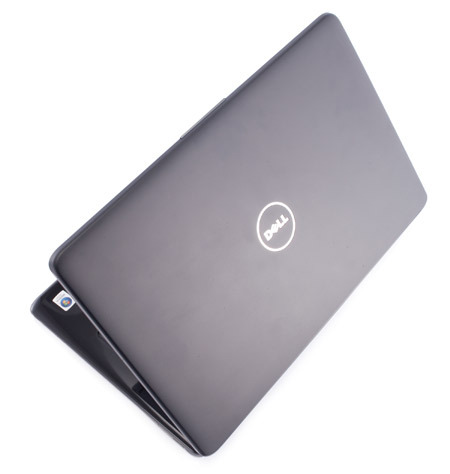 The new Dell Inspiron 15 sports significant improvements over the older model, both in terms of look and feel and overall performance. It may not have every feature in the bag, but for a price tag of £398, we think it has a pretty good blend of style and performance at an attractive price point. 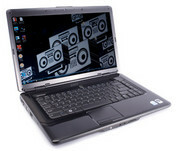 Recommended for anyone who's shopping for an all-purpose home laptop on a tight budget. I like a lot of Dell's newer laptops, and I had hoped to like the company's newly Core i5-enhanced Inspiron 15 (1564 variant). This model has a lush widescreen and isn't too big, and the glossy shell looks nearly as good as the Apple aesthetic it apes. 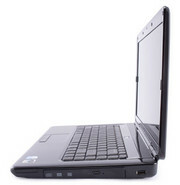 At about $934 (as of March 9, 2010) when it isn't on sale, the 1564 is a reasonably priced all-purpose laptop with a substantially more than adequate chunk of silicon at its heart. Dell's targeting the consumer market with the Inspiron 15, and it certainly does have a lot to offer. The Intel Core i5-520M in our review unit may almost be a bit too much for a unit that otherwise seems fairly stripped down, but otherwise the overall build is well-rounded. The ATI Mobility Radeon HD 4330 isn't going to break any speed records, but it serves its purpose. Intel Graphics Media Accelerator (GMA) HD Graphics: Onboard graphics card that is built in the new Arrandale CPUs (Core i3 / i5 / i7 Dual Cores). Depending on the model and Turbo Boost, the GMA HD is clocked between 166 and 766 MHz. Only some 3D games with very low demands are playable with these cards. » Further information can be found in our Comparison of Mobile Graphics Cards and the corresponding Benchmark List. 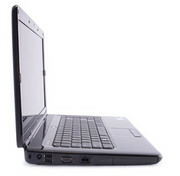 The Core i3-330M is a slower clocked 350M and therefore also lacks the Turbo Boost feature and clocks with max. 2.13 GHz. Thanks to Hyperthreading, 4 threads can be processed simultaneously. An integrated graphics card (GMA HD 3150) and a DDR3 memory controller are also included in the package. 74.29%: This rating is bad. Most notebooks are better rated. This is not a recommendation for purchase.